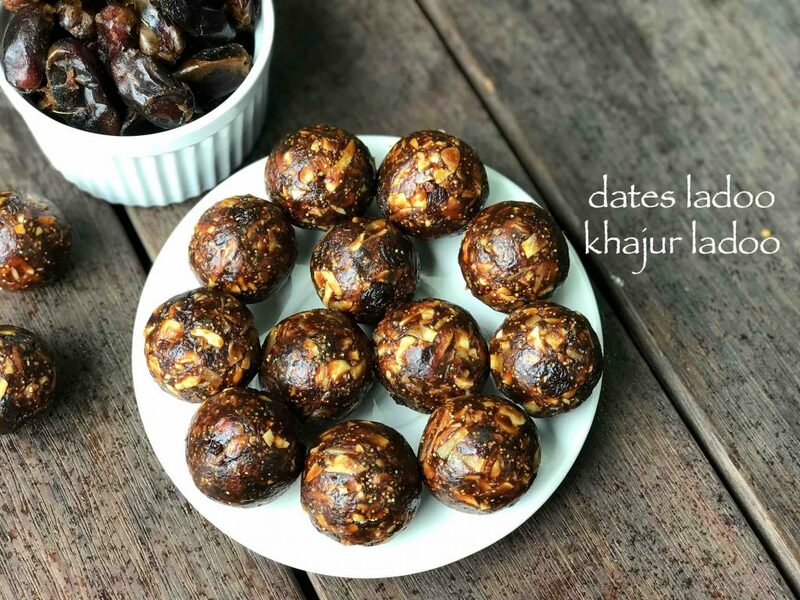 dates ladoo recipe | khajur laduu recipe | dates nuts laddu recipe with detailed photo and video recipe. a healthy and tasty ladoo recipe without any sugar is an ideal festival celebrating recipe. 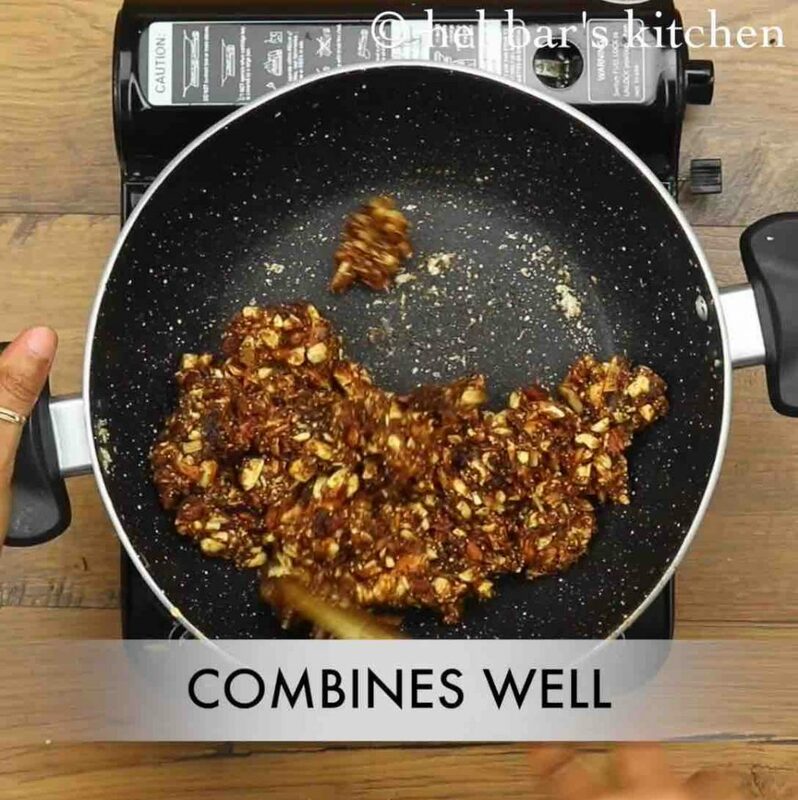 the recipe can be prepared with or without any extra dry fruits and this recipe contains traces of cashews, almonds, raisins and even dry coconut. in short this recipe can also be named as dry fruit ladoo recipe without sugar. 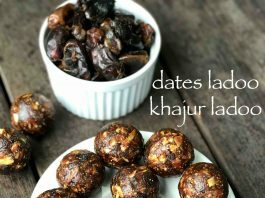 dates ladoo recipe | khajur laduu recipe | dates nuts laddu recipe with step by step photo and video recipe. compared to other traditional ladoo recipes, khajur laduu’s are the healthiest laddu recipes. basically it is made without any sugar or jaggery and is entirely made with grounded dates or khajur. the sweetness to the recipe is entirely comes from dates and hence a healthy dessert for your next celebration. i have already shared the other version of this recipe and i have named it as dry fruit laddu recipe. the recipe is almost very similar with similar ingredients yet there is a subtle difference and hence both are named differently. in my dry fruits laddu recipe i have used all the quantity in a equal proportion whereas in this recipe of dates laddu i have used dates in more quantity compared to others. moreover i have added nuts in this recipe only to have nutty flavour to the laddu’s but is completely optional and can be ignored. it can be just prepared with dry coconut and raisins and it should taste equally good. in addition you can even add anjeer and also apricots while grounding the dates to have nice flavour. 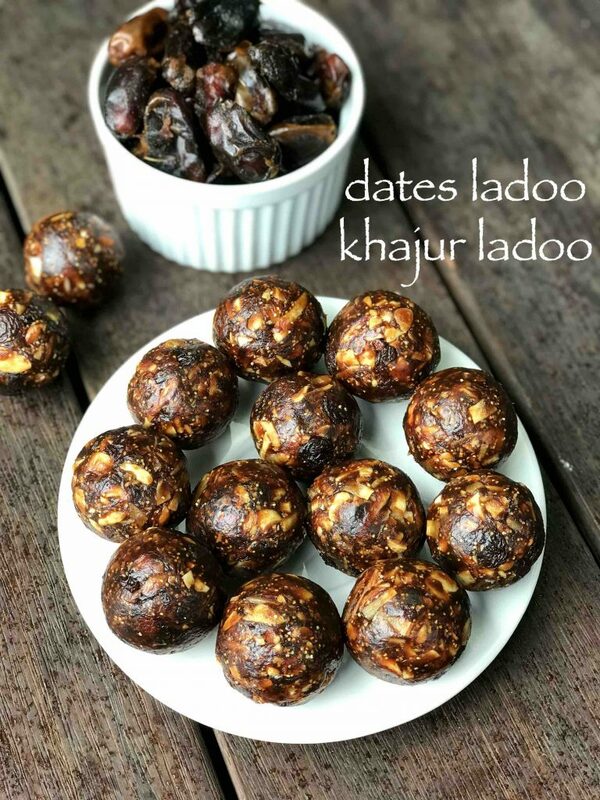 while the recipe is extremely simple yet i would like to highlight some tips, recommendations and serving suggestion for dates ladoo recipe. firstly, as mentioned earlier i have not used sugar or jaggery in this recipe and hence it is sugar less sweet recipe. but it may not be suitable for diabetic patient and you may want to consider it with your doctor before consuming. secondly, if you are planning to add nuts then make sure to chop them finely before adding them. also ensure that you do not blend them to fine powder if you are using a blender. 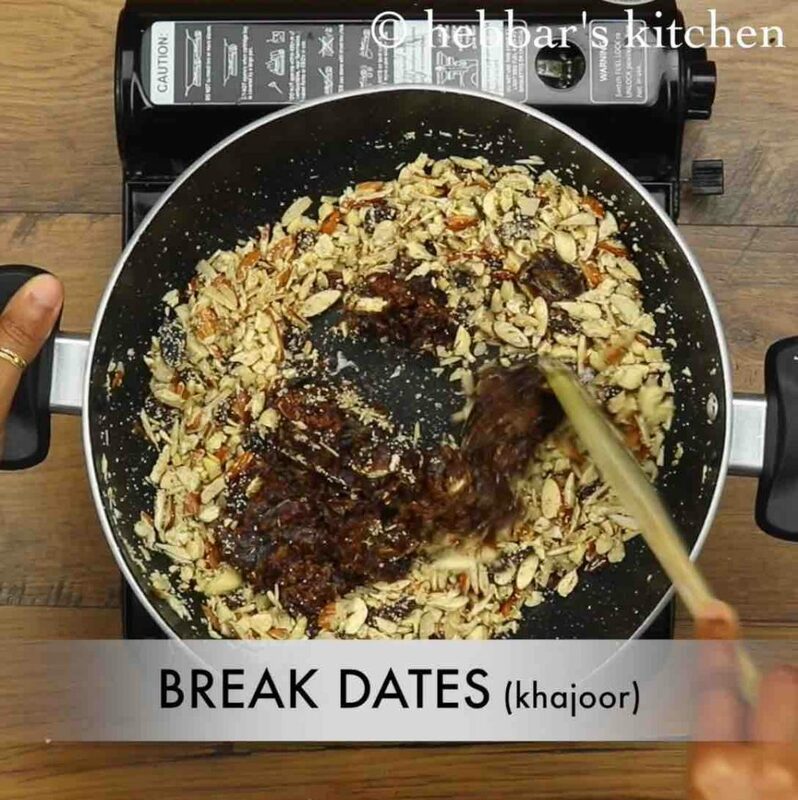 lastly you can also use anjeer or apricot or combination of both as an alternative to dates. 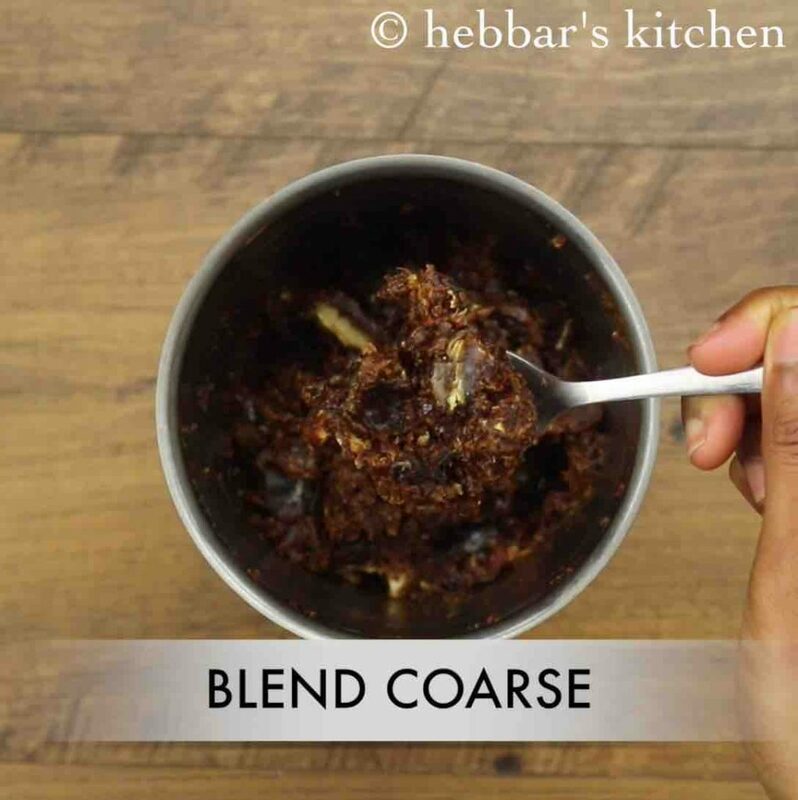 firstly, take 1 cup seedless dates in a blender and blend to coarse paste without adding any water. keep aside. 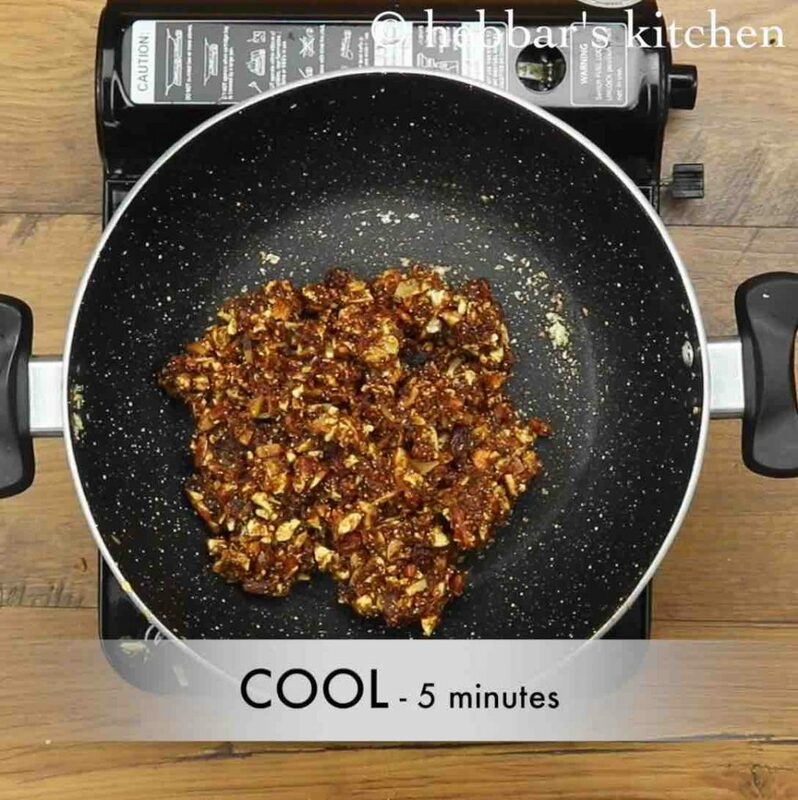 in a large kadai heat 1 tbsp ghee and add ½ cup almonds, ½ cup cashew, 2 tbsp dates and ¼ cup dry coconut. roast on low flame for 5 minutes or till nuts turn crunchy. 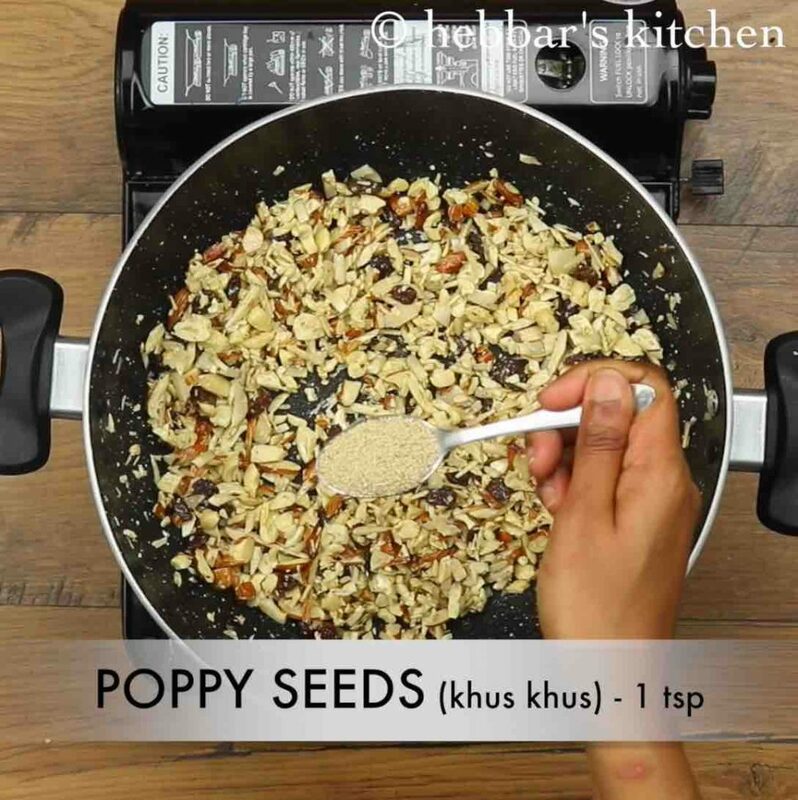 now add 1 tsp poppy seeds and roast for 2 minutes. add in crushed dates and mix well. 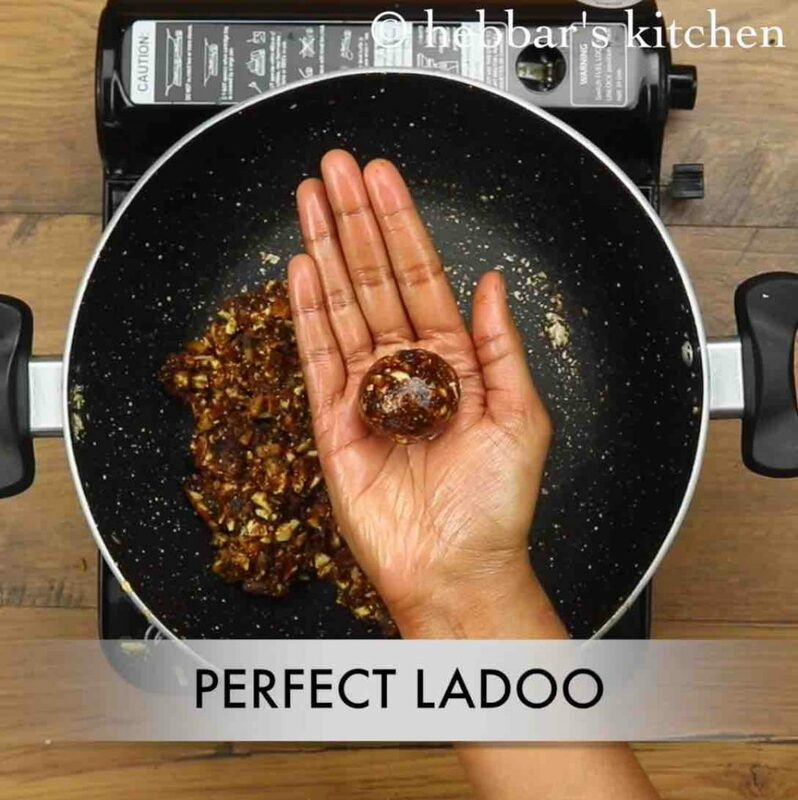 turn off the flame and allow to cool for a minute or 5.
finally, serve immediately or store dates ladoo in airtight container for a month or more. 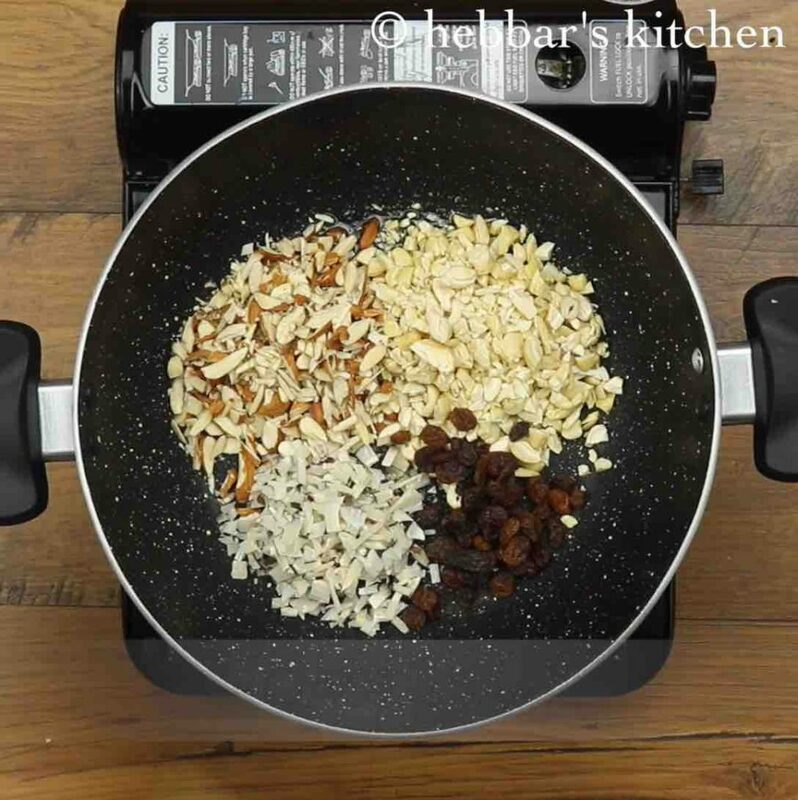 firstly, add dry fruits of your choice, and adjust proportion accordingly. 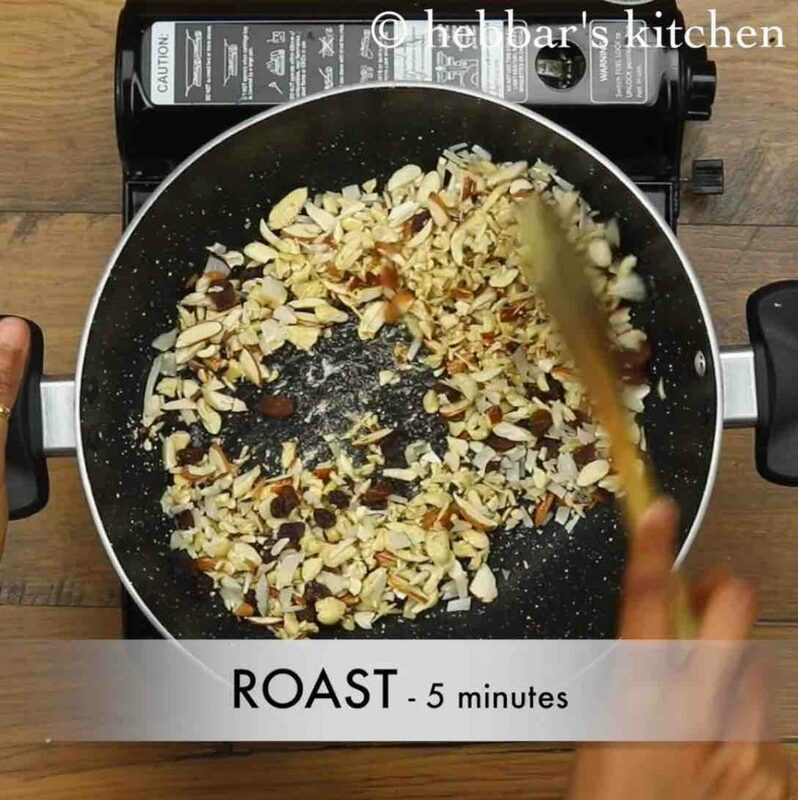 also, roast dry fruits on low flame for more crunchy bites. finally, if the mixture cools and you are unable to make dates ladoo then do not worry. you can microwave for a minute or saute on a tawa for a minute till the dates get warm up again. hi..i am a very big fan of your recipes..i tried evry single recipe in the menu..please make some recipes with tofu..
Can you please show the recepie for antina unde. Can you please share “antina unde” recepie.